1. Go to the library. Libraries often have events for children of all ages. And the best part is that they are free. Whether it’s story time and singing and dancing with your infant, or building blocks, there’s always a new activity to do. You and your baby will count fingers and toes, “take the elevator up, take the elevator down,” wonder where “thumbkin” is, toss scarves, chew on shakers, crawl and dance around, and socialize with other babies. You may even decide to join the toddlers and play with all kinds of blocks from foam to plastic, and giant puzzles too. And the bonus? Mom gets a workout every single time! 2. Take a baby music class. We joined the Kindermusik Cuddle & Bounce class specifically for infants ages 0-1 which is a great way to bond with baby, sing, dance, listen to and identify daily sounds, play with instruments such as drums, shakers, and chimes, and socialize with other babies and their caretakers. And trust me, going to the class with the right age group can be very beneficial; at a multiage class my infant was very shy, while at the infant class he babbled and interacted with other babies, showing me the value in socializing with the right age group. Kindermusik also has an online portion where you can download music and gather activity ideas. Some centers are even equipped with a gym, a padded baby proof play area perfect for working on those gross motor skills. And nap time almost always follows this high energy class! I highly recommend joining a music class with your little one. 3. Visit a local museum. I like to fill in my calendar with the various free admission days at our local museums, but you can also buy a membership that will give you access to multiple museums and save you money in the long run. If you are questioning taking an infant to the local children’s museum, don’t hesitate! I mean, sure, do some research on it, but chances are your infant will have a blast at the museum just as much as an older child would. And they’re still a lot less mobile so you won’t lose all your hair chasing your infant. Our local children’s museum has story time, boppies to relax and eat on, books, puppets, bubbles, a wooded yard where little ones can crawl through trees and snuggle with a fox or rabbit, a water area to splash in in the summer, an art studio, and so much more! Or if you want something more quiet, walking around your local museum of nature and science will also push your child to explore and visually and kinesthetically explore a variety of cultures, species, and other things they don’t see on a daily basis. 4. Go to to the zoo. Not really into the indoor attractions? The zoo is another place you can visit for your child to hear and recognize different sounds, see small critters and large animals, and really explore the world a little more. My child loved seeing the tall giraffes, while learning that the smell was “stinky.” And hearing the wildcats really made his eyes widen with interest. The same goes with the aquarium. We first took our infant at 3 months old and he was fascinated at the fish swimming before his eyes, especially the glow in the dark ones, and was able to follow the otters in and out of the water. Your child is never too young to explore zoos and aquariums, and they provide a great learning opportunity. Nap time also often follows these grand visits! 5. Get in the water. Take your baby to the pool, or better yet, a hot springs! While we love to swim and splash around, and were first hesitant to visit a hot springs, it was a great experience. We made sure they had a pool at the right temperature for baby which this one happened to be 97 degrees, and we went on a partially sunny day so it wasn’t too hot or too cold. Our little one absolutely loved the temperature of the water, he splashed around, took a nap, then went back to swimming. And mom and dad got to relax while still hanging out with the baby. We thought it was a win-win for our family. 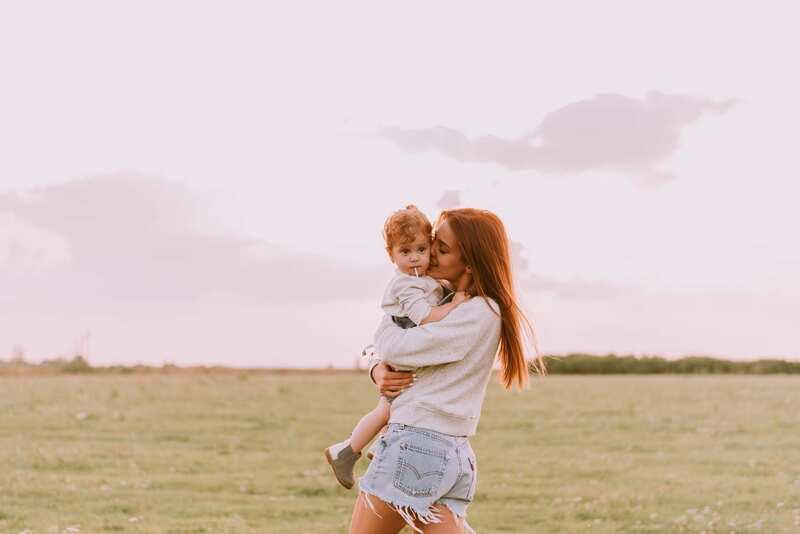 And while you’re still able to put the little one in a baby carrier, enjoy a hike followed by a picnic, or maybe go for a bike ride and continue to explore nature with your baby. 7. Give yourself a break. Hello readers! My name is Aida (like the opera). I am a wife, first-time mom, and educator with a MA in Sociology. I enjoy capturing moments visually and through writing, and I am thrilled to share with you the experiences of my journey into motherhood.